The case, in stainless steel, measures 42mm x 10mm. 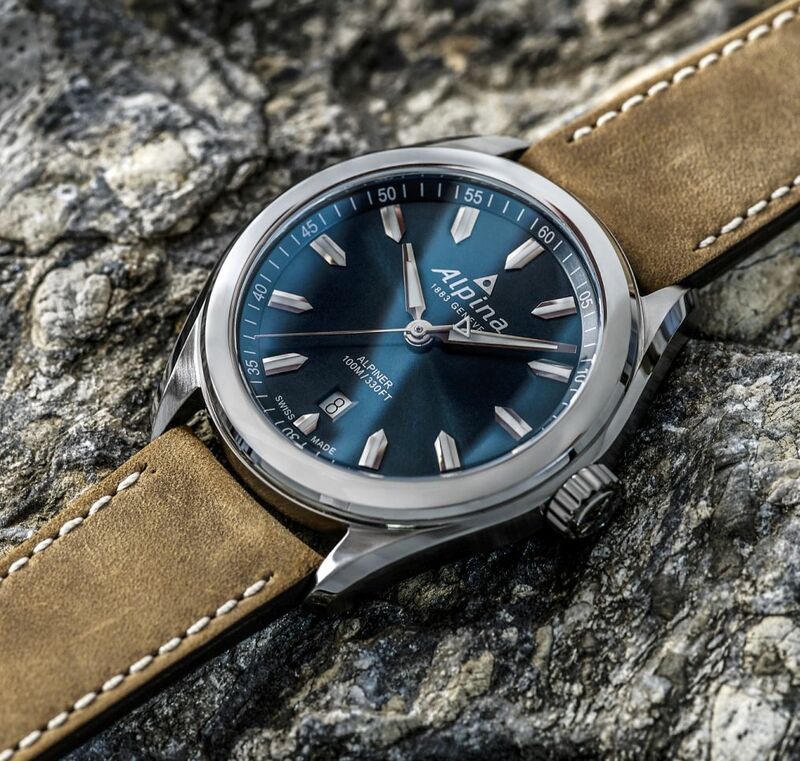 It has a convex sapphire crystal and it is water resistant to 100 meters. 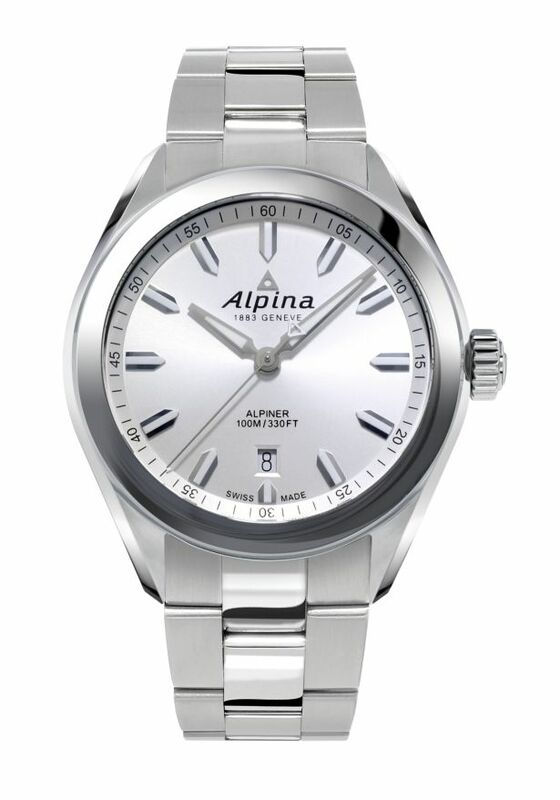 Movement is the Swiss quartz Alpina caliber AL-240 with one jewel and a battery life of 45 months. Functions are: hours, minutes, central seconds and date. 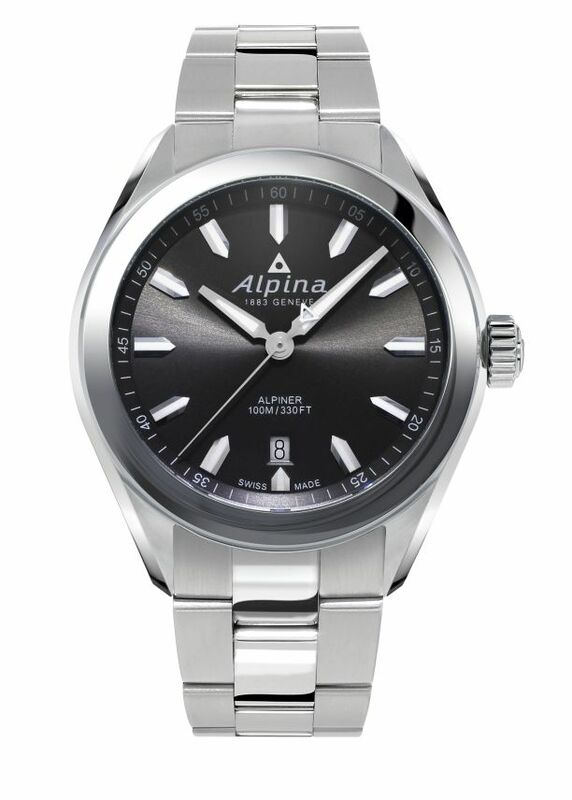 The dial can be had in dark grey, silver or blue, with Sunray finishing and applied silver Luminova indeces. 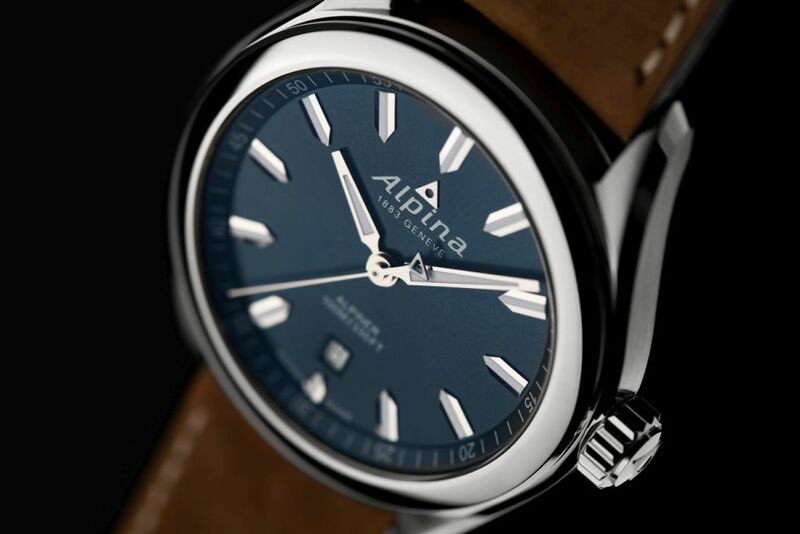 Hand polished silver color hours and minutes hands with white Luminova, silver polished seconds hands with white Alpina logo. It comes on a steel bracelet or a brown leather strap with steel buckle. 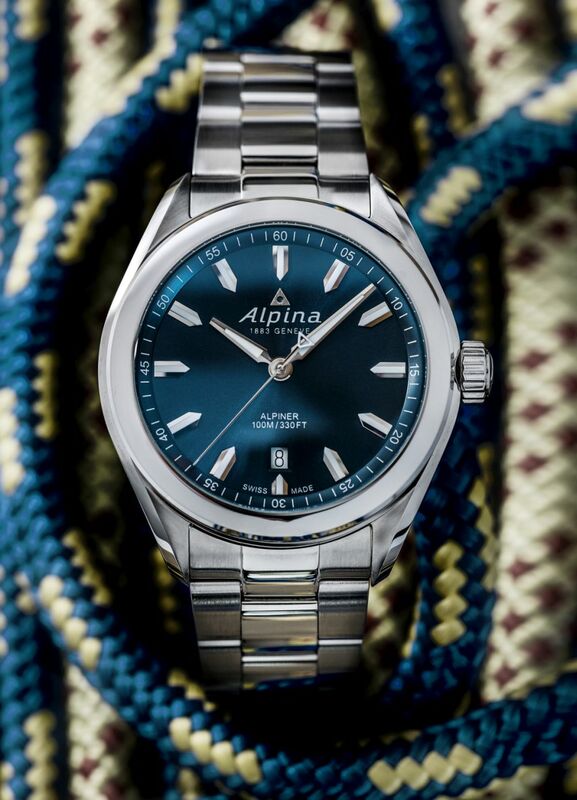 MSRP is 695 to 795 Euros.